This webpage is for professionals who are interested to join ADRPartners (council for e-Court). ADRPartners is currently exploring contacts with forward looking, socially and Internet savvy law communities in Australia, the UK, USA, Canada and India to create a new commercial internet "arbitration" niche. 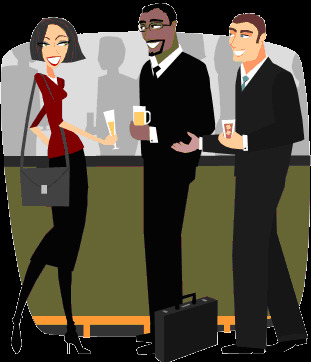 We are interested in mutually attractive business arrangements with firms like yours. We designed two separate entities, i.e. ADRPartners for council and e-Court for the client. e-Court.us Legal Services LLC, a Delaware US company and e-Court.ca Legal Services International Inc., a Canada Incorporated company are the "administrative" Internet shells for civil and other disputes between businesses and/or individuals through the real Internet arbitration court. Ensure a "FIRST-CHOICE" $125 Listing in our exclusive search databases. Our application makes your business easily available to mobile users with a fast and easy mobile website. Thanks to the intuitive and easy-to-use interface, customers get immediate access on their mobile phone to all the key information about your business and are able to contact you with just one click or touch. Submit an email request how to purchase the "FIRST-CHOICE" Listing via below button. E-businesses and their customers are looking for dispute resolution options that reflect the speed and convenience of the Web. E-commerce professionals are turning to online dispute resolution (ODRJ to manage their online conflicts fairly, efficiently, and effectively. 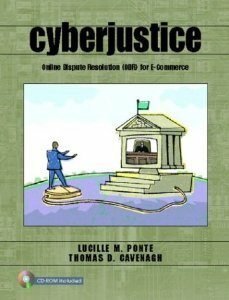 CyberJustice provides an interesting and informative overview of this rapidly-emerging field, suitable for use by business students, e-commerce managers and entrepreneurs, and dispute resolution professionals. "This book is an exciting addition to the literature on both ADR and the whole world of the Internet. The authors have put together a comprehensive study of a topic that is largely unknown and uncovered even in the advanced ADR and negotiation courses." � Lucy Katz, Fairfield University .